Can Malaysia Shape ASEAN Beyond 2015? As ASEAN chair, Malaysia can help make the group a truly people-centered community. Last month, Malaysia officially assumed the ASEAN chairmanship when the chairman’s gavel ceremoniously changed hands from Myanmar’s President Thein Sein to Malaysia’s Prime Minister Najib Razak in Myanmar’s capital Naypyidaw. 2015 is a significant year for the ten-member organization as it historically marks the culmination of efforts from the inception of an ASEAN Free Trade Area in 1992 to the realization of an ASEAN Economic Community (AEC) that envisions Southeast Asia as a single market and production base with free flow of goods, services and investments. Taking the helm after a ten-year hiatus, Malaysia is eager to demonstrate leadership and deepen cooperation. Not only is Malaysia a founding member; ASEAN has and continues to remain the cornerstone of the country’s foreign policy. As chair, what are Malaysia’s tasks for the year? Malaysia will need to, above all else, ensure that member countries implement the remaining twenty percent or so action lines spelled out in the Roadmap for an ASEAN Community 2009-2015. This may not be too difficult, considering that many of the measures were written in vague language, hardly measurable, or both. The Malaysian government is aware of this. As early as July 2013, one and a half years prior to assuming the chairmanship, Malaysia’s Foreign Minister Anifah Aman acknowledged at the ASEAN Leadership Forum that the action lines cannot be mere aspirations but concrete targets and goals. “I believe that in the future, our aspirations must be expressed in…. a manner consistent with the principles of SMART – specific, measurable, attainable, relevant and time-bound,” he said. That “future” is now. Standing at the crossroads, what then should a post-2015 ASEAN look like? It should be one of substance. 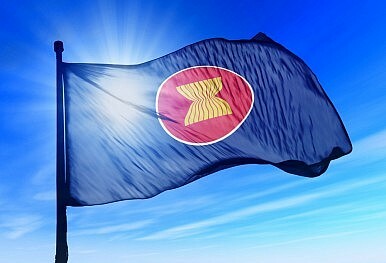 ASEAN’s adopted instruments must carry weight. The challenge is not whether the AEC — or for that matter the ASEAN Community — is achievable by the end of this year or otherwise, but how to incorporate SMART principles in the next phase of community building and significantly raise the commitment level of member states. There are, I believe, two core areas of concern: first, involving all stakeholders in the development of an ASEAN Community; and, second, beginning to prioritizing the region over national interests. The Malaysian government has fittingly chosen the theme of a ‘people-centered ASEAN’ to drive its agenda. This is understood as the reengineering of ASEAN away from the control of the political and bureaucratic elites to deeply involve all sectors of society. That is, ASEAN should not merely be a one-way street spreading awareness and promoting the organization’s achievements to the people. But how does one change the highly hierarchical structure of ASEAN and create the necessary conditions for the effective participation of civil society organizations (CSOs)? To be sure, ASEAN has been working with various business communities and interest groups as well as epistemic communities. But the grouping has been selective and still remains, to varying degrees, uncomfortable when it comes to engaging CSOs that aggressively champion human rights issues. During its five years in existence, the ASEAN Intergovernmental Commission on Human Rights (AICHR) has only managed to carry out promotional activities and has yet to deliver results on the question of human rights protection. Human rights violations reported by CSOs to the AICHR remain unaddressed. Similarly, policy recommendations submitted by the ASEAN Peoples’ Forum – an annual gathering of CSOs which has been meeting since 2005 – to the ASEAN Summit in the past have gained little traction. Little or no subsequent feedback has been received from either the individual national secretariats or the ASEAN secretariat. This has caused some human rights activists to react cynically. Debbie Stothard, the coordinator of the Alternative ASEAN Network on Burma (ALTSEAN Burma) quipped: “I think many people who drafted or pushed the [people-centered] theme [see] it as a breakthrough that governments are actually willing to adopt the language even though it is not reflected in reality. The bar in ASEAN is so low that adopting some tokenistic theme is considered a positive thing”. If there is to be any meaningful participation of CSOs in ASEAN’s activities, particularly on critical issues such as human rights abuses and ethnic clashes, ASEAN member countries must be willing to listen to criticisms and embrace CSOs that may not necessarily toe the organization’s line. Politically, ASEAN must move beyond its narrow interpretation of non-interference in member states’ internal affairs. The principle of sovereignty will remain imperative but its usage should be clearly defined to pave the way for deeper integration. In other words, regional public goods must eventually triumph over national interests. A people-centered ASEAN should be an institution that does not shy away from actively addressing sensitive issues, particularly those concerning the political and economic security of marginalized groups. Apart from the usual issues such as regional security, the environment and democratization, critical but often unaddressed challenges such as the marginalization of Rohingyas – one of the world’s most persecuted ethnic minorities – need to be included in the agenda. The Rohingya issue was neither discussed at the ASEAN ministerial level nor at the informal or working levels in Naypyidaw last year. By refusing to address it, the situation has arguably taken a turn for the worse. “The reality is that now we have some very serious spillover effects. A number of boat people fleeing Burma, especially the Rohingyas, have actually doubled and we are also seeing the demographic change. In the past, it used to be men and now we are seeing increasing number of boat children,” explains Stothard. Malaysia’s capability to lead and its commitment to the wellbeing of the ASEAN people will be reflected in its ability to successfully inspire other member countries to tackle critical human security issues and to genuinely work with CSOs to set the direction for a post-2015 ASEAN. The ASEAN Secretariat must also be further empowered. So too the various instruments such as the AICHR, the ASEAN Human Rights Declaration and the ASEAN Commission on the Promotion and Protection of the Rights of Women and Children (ACWC). Only then can Malaysia and its fellow Southeast Asian counterparts begin to make ASEAN a truly – and not merely rhetorical – community for all. Benny Teh Cheng Guan is a senior lecturer at the School of Social Sciences at Universiti Sains Malaysia. What is ASEAN Community 2015 All About? ASEAN should convey clearly exactly what its community-building this year is all about. Malaysia as ASEAN Chair in 2015: What To ExpectASEAN Urges a Youthful Lead for ASEAN Economic CommunityAn ASEAN Giant Mulls the Region’s FutureCan ASEAN Economic Integration Succeed?What is the Future of Integration and Inequality in ASEAN?